The scaffolding is due to come down soon on O’LearyGoss Architects designs for ten family houses at Nailsea Glassworks for Rollo Homes. The form of the ten new houses, constructed within the shell of the last remaining building at this Scheduled Monument site, is now clear. We are particularly delighted with the brick trimmed openings in the stone walls, and the crispness of the natural slate roof. 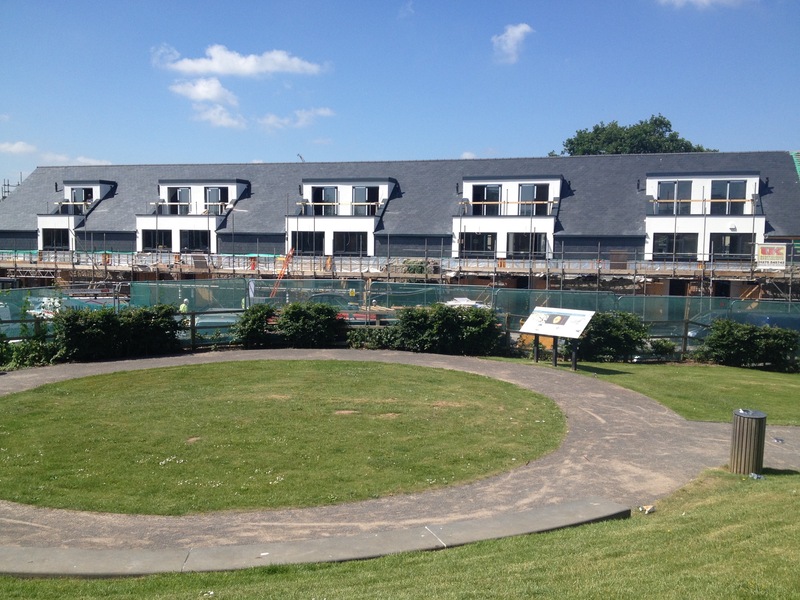 The houses are due for completion over the summer months.